It’s that time of year again, tinsel appears on the TV and suddenly you realise you need to be appearing higher up the search rankings, feeds and listings. As a small e-commerce business, where do you start with online advertising? We asked Marketing Consultant Samphire Amps for her views. Here is her guest blog on the subject…. Running promotions for an e-commerce business can be overwhelming at this time of year. Forms Plus asked me to have a look at the best online advertising channels for online sellers, and share some advice on how to get set up. Here are my tips on where to start if you are paying for online advertising for the first time, and need to get some ads up fast. Most online sellers will have had a go at Facebook Advertising, but make sure you are set up properly using Facebook Business Manager and an Ad Account, rather than just using Boosted Posts. Setting up Business Manager will give you greater control over your targeting, more information on how your ads are performing and tighter control over ad design. 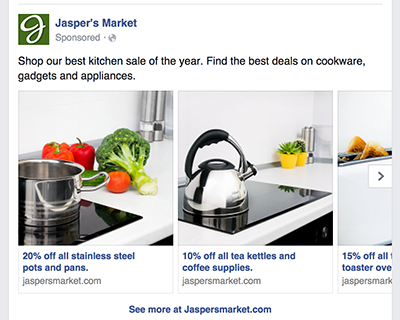 Facebook Ads come in different shapes and sizes, and you can choose which parts of the Facebook empire they appear on. If you’re new to this, have a go at a Carousel Ad, where you can showcase up to ten images or videos in one ad, each with its own link. In the settings you can then target tightly by interest, age, gender and other demographics to find just the audience you need. The strangest we have had to do was “well off, young professional, chihuahua owners in Fulham” – and there were quite a few of them! Don’t forget to use the “exclude” option as well if there are people who would be unlikely to buy. We’ve used that to target possible guests to a hotel, in term-time, by excluding people with school age children. If you have a bit more experience, you could use Facebook’s catalogue manager to connect your Facebook account with your website inventory. This allows you to devise more automated ad campaigns based on the different categories of products you have for sale. Adding the Facebook Pixel to your site then means you can set up ads to retarget people who have viewed a product but not purchased it, or to upsell similar products to people who have bought something from you. For all your ads, you can specify where to place them. Placements include the Facebook Feed, Right Hand Column, Messenger, Instagram and Stories. If your market is very competitive, you might want to try Stories as, so far, less people are using them. Previously known as Adwords, Google Search Ads are text adverts that appear at the top of the search results. You bid on certain keywords or sets of keywords. Depending on how many people are bidding on the same words, and how relevant your site is, your ad will appear. You are only charged when the visitor clicks on your site. This is known as PPC or pay-per-click advertising. The price you pay will depend on how many other people are bidding on the same terms. “Long tail”, more specific strings of words are less competitive and so cheaper. For example, if you sell handmade pottery vases, it may be better to bid on “handmade pottery vases” than just “vases”. You will normally set up your Google Search Campaign with different groups of ads that match the categories on your website. If you are the potter in the example above, you might have different groups of ads for vases, bowls and mugs. You set a daily budget and decide how long you are going to run the campaign for and Google will only show your ads until you have met your daily budget, so you can’t overspend. To get your campaign set up quickly and efficiently, it is a good idea to work with a Google Partner Agency to get you started. If you have the budget, they can then also manage the campaigns for you. If not, perhaps see if they will train you up a bit to do it yourself. Part of the Google Advertising Platform, Google Shopping is designed to show visual ads, at the top of the search feed, for shoppable products. These are growing in popularity and often now push the actual search ads and results quite far down the page. 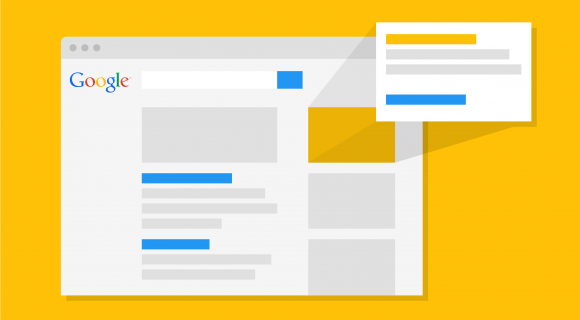 Google Shopping ads allow customers to view your actual products as an image on the search page, together with a photo, title, price, the store name and more. Shopping Ads appear on YouTube and Google Image searches as well as the normal search results page. To get started, you will need to set up a Google Merchant Centre, which holds your product data. This can easily be connected to Shopify, WooCommerce, Big Commerce and other catalogues using an app or plugin. You’ll then link your Merchant Centre with your Google Ads account. As for search ads, payments are based cost per click and can be optimised for conversions once you have some data for Google to go on. You can try to set these up yourself, and there are lots of training materials on line to help you, or work with an agency. 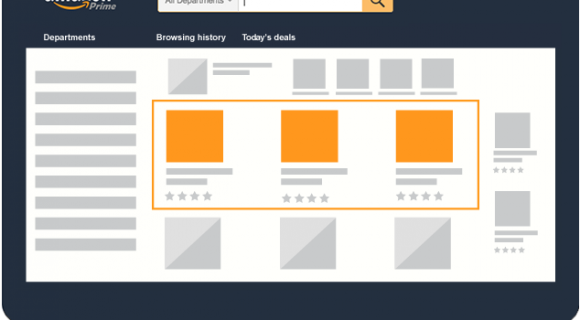 If you have a Professional Seller account, Sponsored Ads allow you to push your products up the search results pages in Amazon by choosing keywords, categories and products that you want to promote. You can set these up through Seller Central. If you start by using automatic targeting, Amazon will help you choose the right keywords to bid on. Once you have some history and can see how those have performed, you may want to switch to manual campaigns, so you can target the keywords that bring you the most business. To get started with Amazon Advertising, visit Amazon Services where you can also currently get £20 in free click credits. If you are using other channels, chances are they have their own advertising options, so take a look at those too. For example, Pinterest now offer Promoted Pins and Ebay have a huge range of Ad Formats available. Whatever you choose, good luck and we hope this is a successful festive season for you. « Health, Wealth and Happiness – Can Your Workplace Provide All Three?